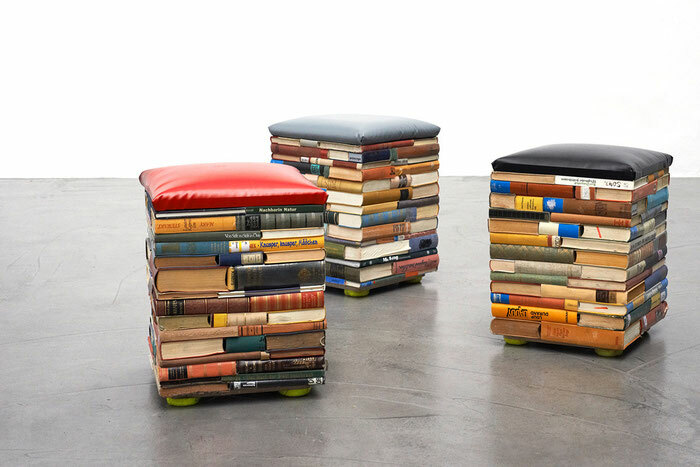 gabarage upcycling design stands for innovative upcycling: In upcycling, “waste” material from trade and industry constitute the valuable raw materials for the creative design process. In cooperation with designers, the gabarage creative team develops and produces ecologically sustainable design items and costumer goods for both individual and corporate customers. 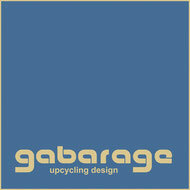 gabarage is based on 3 pillars: design, ecology and social responsibility. The workshop contributes to lengthening product lifecycles and avoiding waste. Moreover, gabarage upcycling design is operated as a socially conscious business that prepares disadvantaged groups of people to (re)join the regular labour market. Our staff includes people who suffer from a chronic addiction and who have either successfully completed a long-term course of inpatient or outpatient drug therapy or were treated at outpatient clinics. These employees are trained in a variety of professions in an occupational training program that was especially developed for gabarage. Additionally, they receive a final certificate from an external consultancy company. gabarage upcycling design is funded by the Sucht und Drogenkoordination Wien GesmbH, the ESF, the BMASK and InQua and the revenue generated by the project itself. A proportion of the personnel costs for the transit workers is also borne by the Public Employment Service Austria (AMS). Customers who visit the showroom at Schleifmühlgasse 6, in Vienna’s fourth district, find both unique pieces and standard products. And there are almost no limits when it comes to choosing items designed to meet individual wishes. In addition to classics such as the “gaba-bags” made of end-of-life advertising and truck tarpaulins, the showroom now also offers bags made of old ring binders. And for lovers of eye-catching jewellery, there is a wide range of special design items made of used parts such as silencers or sealing rings. gabarage also offers more than enough to please customers with a fine taste in innovative furniture or unique design items: A recliner made of ring binders, a chair or a bench made of old waste bins, a shelf made of decommissioned traffic signs or lamps made of packaging material are just some of the items from gabarage upcycling design’s innovative range of merchandise. As a CSR partner for businesses and agencies, gabarage develops sustainable advertising material and give-aways from the respective company’s waste material. From that, items which have apparently become useless are given a second purpose.